The Grammar Rainbow is a classroom tool that enables the teacher to drive key grammar messages. This clear and concise method enables teachers and learners to use and analyse aspects of grammar. 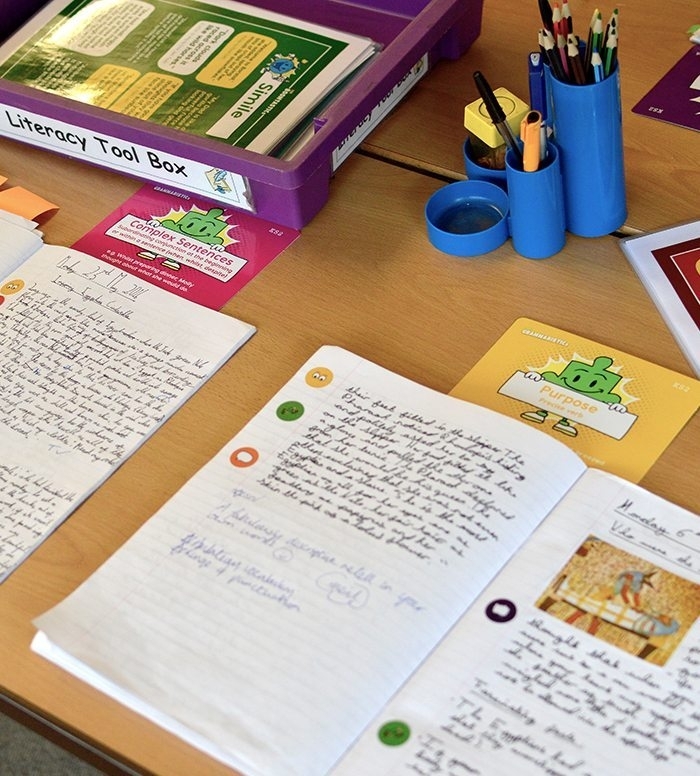 It allows a whole school approach to the teaching of grammar, and gives the subject leader to clear indicators whilst also maintaining teaching grammar in context. The Grammar Rainbow is a classroom tool that enables the teacher to drive key grammar messages. This clear and concise method enables teachers and learners to use and analyse aspects of grammar. It allows a whole school approach to the teaching of grammar, and gives the subject leader clear indicators whilst also maintaining teaching grammar in context. Available as an A1 poster. 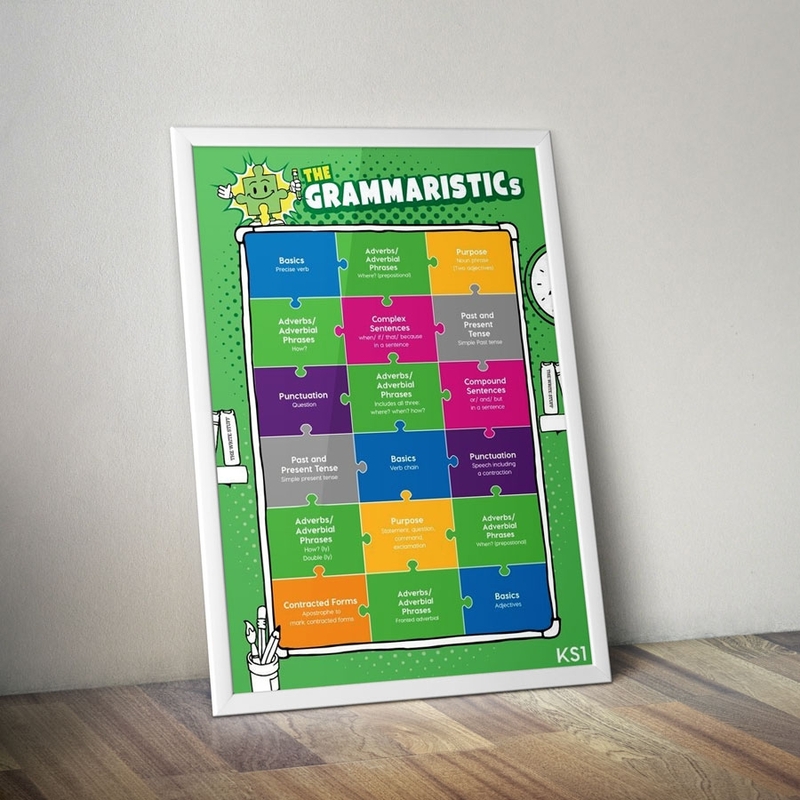 The Grammar Rainbow resource is available in an electronic format as well as colour printed posters in A3 and A1 sizes. The electronic CD/download includes The Grammar Rainbow, which can be printed and shared, and the Primary Grammar Curriculum.